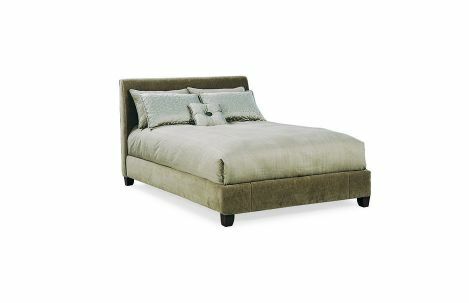 Upholstered headboard with rails on wooden legs. Available in different sizes and configurations. In fabric or leather.